This vessel has been professionally maintained by a marine mechanic. According to the seller, everything is in good working order. Don't let this awesome Sea Ray pass you by! Inquire for a FREE Boat History Report! ... It's clean! Trailer is in very good condition according to the seller. More photos coming soon! Stock #162709 Priced to Sell! Perfect Runabout for Skiing, Wakeboarding, Fishing and the Sand Bar! Don't let this one pass you by!!! If you are in the market for a bowrider, look no further than this 2005 Sea Ray 220 Select Bowrider, priced right at $22,500 (offers encouraged). 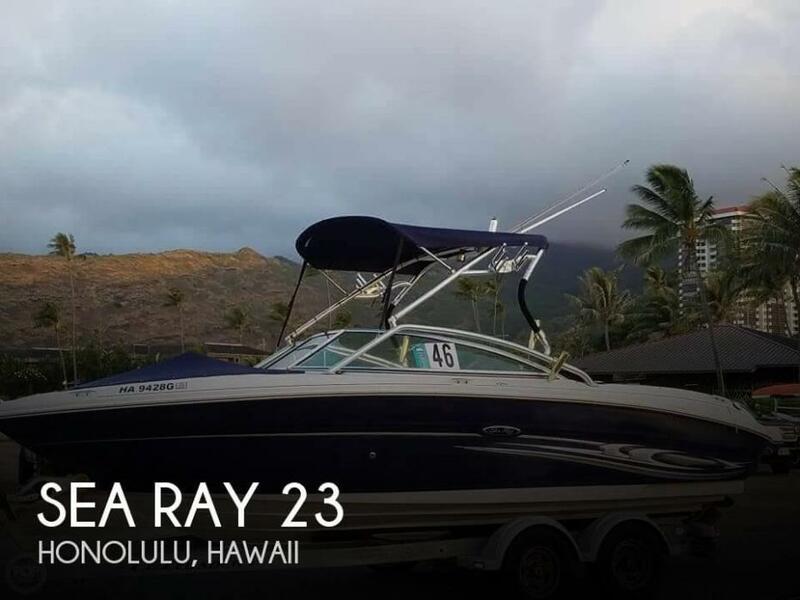 This boat is located in Honolulu, Hawaii and is in great condition. She is also equipped with a Mercruiser engine that has 300 hours.